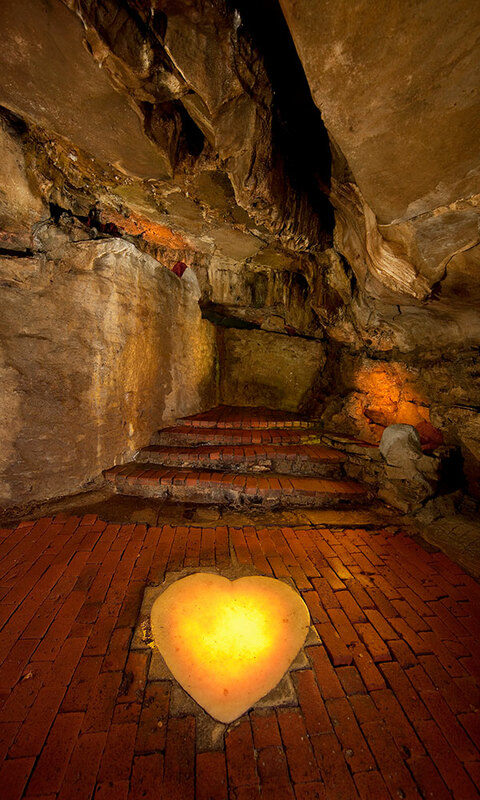 Digging into the less-charted subterranean tours at the popular Schoharie County attraction. 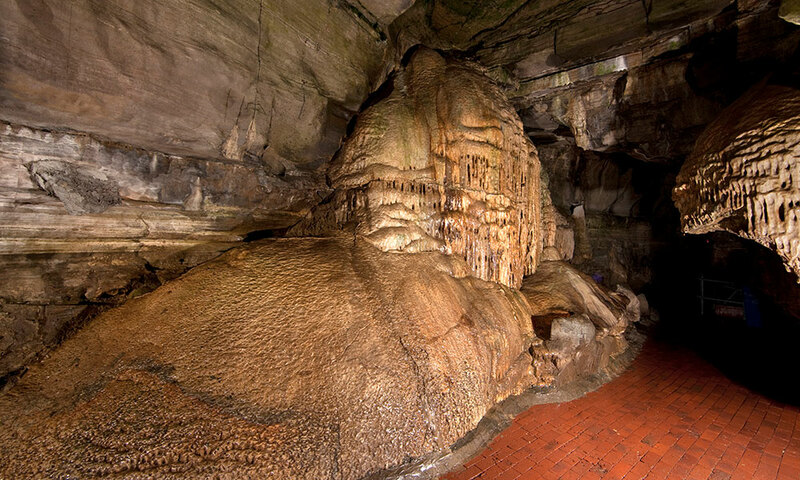 Howe Caverns has come a long way since its early days, when 50 cents bought you an oil lamp, a bag lunch and tour led by dairy farmer Lester Howe. 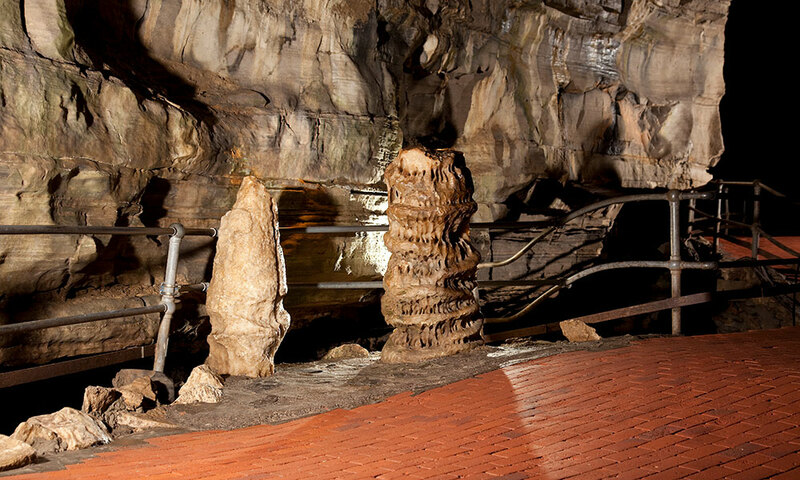 Back in the 1840s, the underground cave had neither lights nor railings nor walkways; tourists shimmied over flowstone formations at their own peril—and at great personal risk, considering they were surrounded by pointy stalagmites. For most locals, this is old news; if you haven’t gone as a couple or taken your kids there for a cool-down on a warm, muggy day in August, it’s entirely possible that you went as a grade-school student yourself. 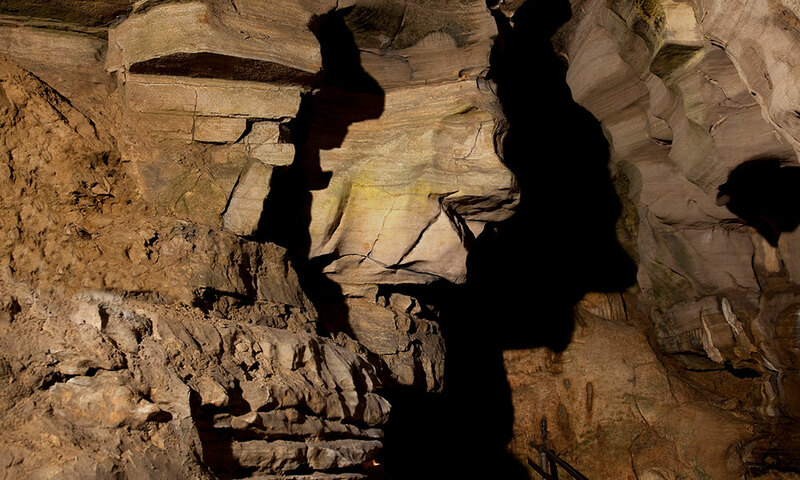 But few know that they have the option of stepping back in time and experiencing the cave as it once was, in the days of Lester Howe—with a bit more peril re-integrated into the tour. 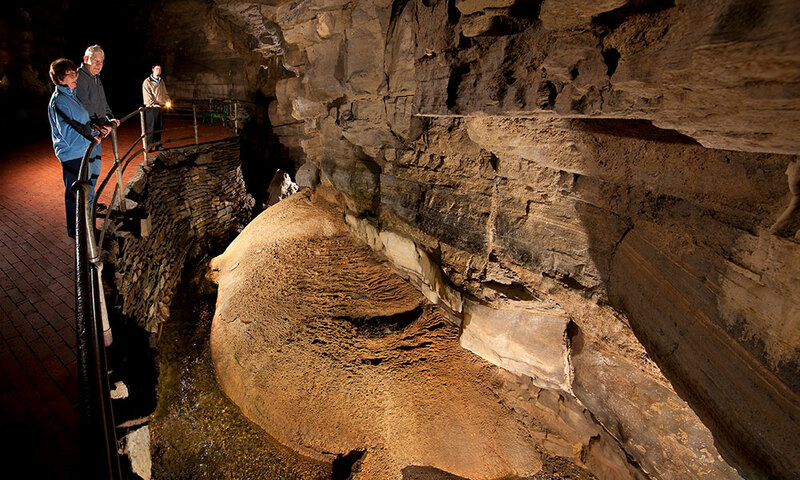 According to Nathaway, Howe Caverns offers specialty tours that are “a little more intense” than the standard boat-and-walkway experience. 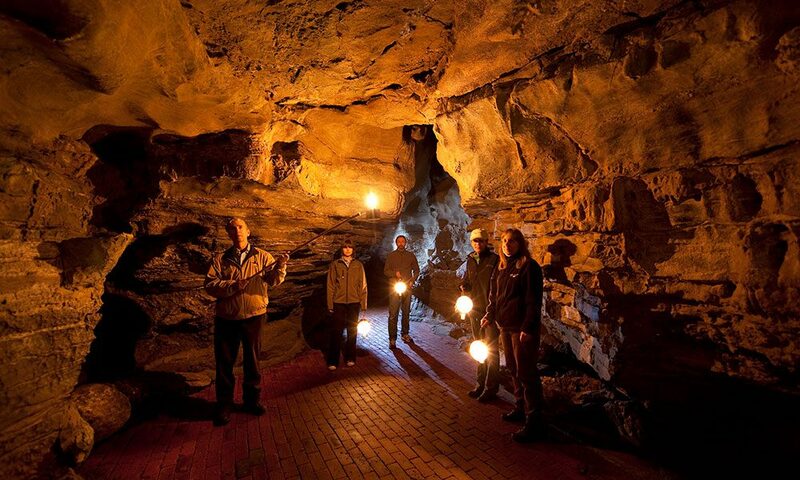 The adventure tour, for example, requires spelunking gear and takes customers off the beaten path. “There’s crawling involved, and two big rotunda rooms. 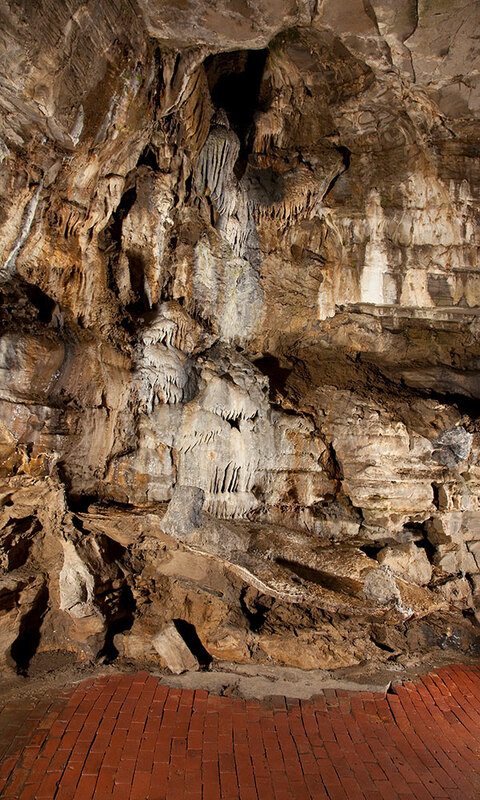 It’s a real spelunking tour,” Nethaway says. 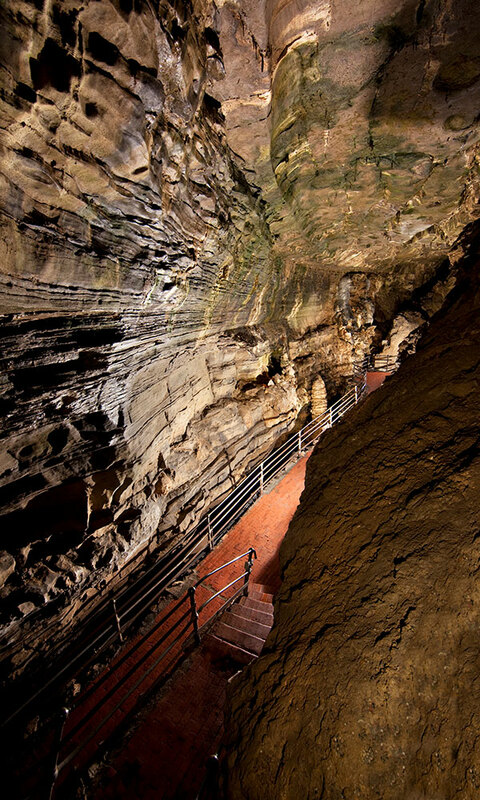 Howe Cavern’s newest tour, called the Signature Walk Discovery Tour, takes visitors on a three-hour adventure through a part of the cave that was closed for 100 years. “That’s the way Lester Howe and his tours did it; you have your own lamp. And there’s a formation down there called ‘Signature Rock,’ which has the actual signature of Lester Howe on it,” Nathaway tells me.